EricRayweather has posted another Madden NFL 19 gameplay video, featuring the Green Bay Packers vs. Washington Redskins and Denver Broncos vs. Los Angeles Chargers. This one focuses mostly on the improved graphics and presentation in the game this year. Make sure to check it out and post your thoughts. It looks good I just don't like the warm hue/tint that's in the lighting this year in day time games, oddly enough I saw night and stadium videos and the lighting looked a lot better then the day time games and that's a first for Madden. Yeah the night games and indoor games look amazing, I remember playing the beta and some indoor games seemed almost too bright, which is odd. I totally agree. I think they took a step backwards with the day lighting this year. I really liked Madden 18 lighting wise, was almost perfect for me. This year it just looks terrible imo. I actually think this is the best its ever looked. Reminds of Madden 09 with more of realistic look instead of the toon shading on the players and jerseys. I think that's why I don't like it. I hated Madden 09. This was an issue with earlier builds and it's really annoying me that it wasn't fixed for the final product. I don't know how EA thinks this lighting looks better than day games from M18. I wonder if its patch worthy of a change because I agree Madden 18 day time lighting was perfect not sure why it was touched. Yeah I know a lot of people did. 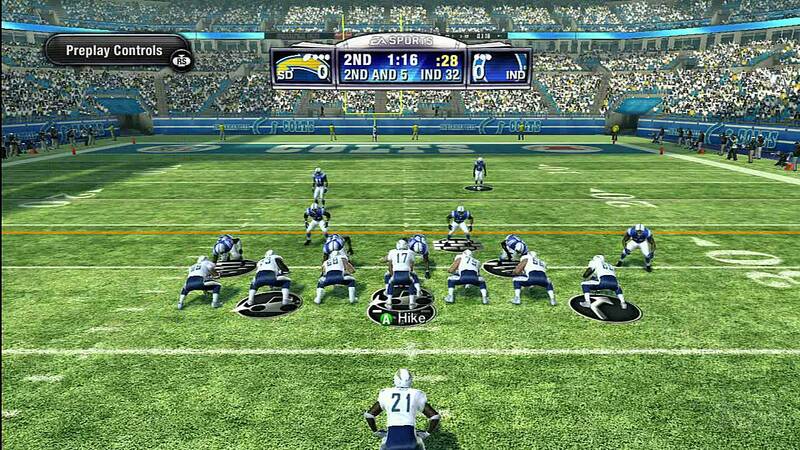 Personally wasn't my favorite Madden but I think the graphics did a few things right. After 09 they went back to this cartoon looking shading. I dont really think Madden has good graphics at all compared to other games. I dont know why so may people believe they do. So many lacking textures. Walls, grounds, fans, benches all have very flat textures with no kind of depth whatsoever. The best looking thing in the game this football, in replay mode lol. 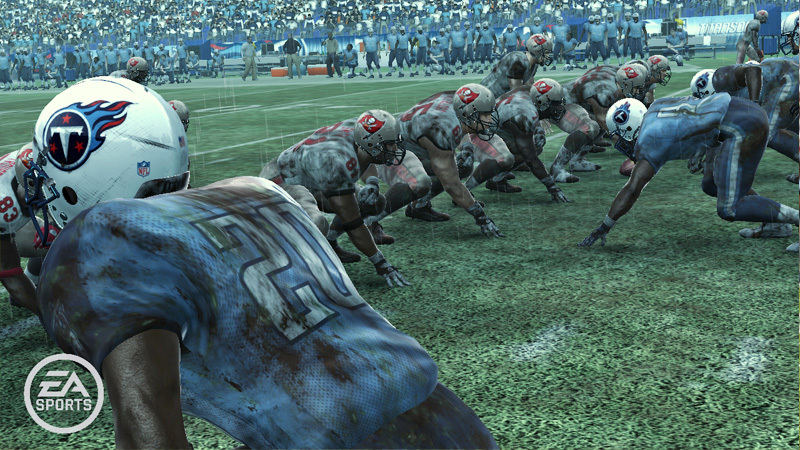 Was Madden 09 the one with the blue tint when it was overcast or rain games? If so that was a horrible year lighting wise. Is this something that can be adjusted in the settings of the game? Granted, it should look better coming out of the box, just asking. Nah I don't think so. I adjusted the settings in 18 and like I said it's damn near perfect. I'm sure it will look better, but definitely a downgrade from 18. The game was just ugly. Everything about Madden 09 was terrible for me. This year the lighting reminds me of it. I really wish they just stuck with the 18 style. Damn that first pic brought back bad memories lol but yeah if madden wants more natural lighting put a blue or orange like hue over the entire screen isn't the way to go, if what they did last year was the cartoonish route then I guess I rather that then in this case. But how it looks now makes me want to adjust my tv settings eventhough its an in game issue. Yes. I dont know why I preferred that lighting back then but I did. Looking at it now it aged really bad. I actually think the 2nd picture doesn't look that bad for that generation. Warm color temperature makes 100% sense during daytime. For what possible reason would you be against that? PC lighting mods could really make this breath taking! Can not wait. Lol. I hated those graphics artists' renditions of overcast games. They went with a far too dramatic/cinematic look that was flat out unrealistic. Just present me with weather & lighting that reflects what we live in, what we see in the real world! Making sense and looking good is two different things my friend, I actually watch everything on my 4k TV using the warm setting but I don't need Madden to help me with that by adding a warm effect to daytime games, I haven't played the actual game in person yet so my opinion might change but looking at it on YouTube just makes me want to adjust the brightness on my phone. Lmao. Yes they did. I liked the fact they got really muddy, but it would be like that by the 2nd quarter, lol. Lol I remember it was so bad you couldn't even see the players number or name on the back of the jersey from all the dirt and mud, straight hurricane weather effects. It does look good, though. Most importantly, the lighting and overall visuals give each stadium its own unique look, which makes it feel like you're actually watching a game on TV that's being played at that particular venue. It's great. There's nothing wrong with a warm look when the game is being played during the day in sunny weather. Toggling between temperatures on my 4ktv makes a world of difference for me in Madden & this yr appears to be no different. We can agree to disagree and really I think the warm look looks good on my TV but Madden 19 has a Warm 2 look which I never like to use it just makes things look yellow including whites, I will just change my TV settings and play around with it until I am satisfied. I shouldn't have to do that lol. Shouldn't have to make tweaks to me TV setup just to accommodate it, and only it. YES, lmao. I hated that game. So glad we moved away from the direction it was headed. I've been wanting new QB throwing animations for at least 3 years now. It's a kick in the gut when E3 rolls around and gameplay videos come out, and Nope, no new animations. Fair enough. I know some people prefer the more "boosted" settings. You should still be able to achieve that with a combination of TV and in-game settings. So I wouldn't worry about it. It sure is. Especially when the ones they have are so inaccurate and ugly. Like some of those animations are from Madden 06. How is that possible? Not making light of the disasters that go on across my state every summer, but this warm/hazy look of this year's daytime games reminds me of these California skies amidst heavy wildfires --- there is an orange tint in the sky and on objects the sun is hitting. In M19, the way the sun hits the field and the players makes it look like the Sun's rays are being obstructed by smokey clouds. Not as drastic of an effect, of course, but I still don't like the look of it. I'd like to see a "palms-up", basket-type catch, rather than the WR reaching out across his body with a thumbs-down type of grab. Especially with no defenders around. Minor nitpick, no biggie. But I think it would look more realistic. I really wish we could get more people pointing this out. QB animations are so far behind the rest of the game. I'm the same as you, the first thing I look at every year is the QB. Every year I'm let down. Yeah, but thats what its there for. Every tv & brand is different. I mean it takes like 2 seconds lol.Why not use it. Even back on my 1080P ive had to mess around with the tv settings for my desired look. QB throwing motions and pass trajectory have been one of my biggest pet peeves with this game for ...ever. lol I wish EA would stop "mo-capping" the neighborhood paper boys. This. From drop back fluidity to throwing animations. It looks awful and robotic. Qb animations are my big beef with Madden. The throwing isn't player specific and that deep squat they do sometimes looks awful. This seems like it should a relatively easy fix but it never changes. I thought the graphics looked really good being its a youtube vid. Gonna look nice on my 4k. I have noticed the big shoulder pads in several videos that were final build..I think Ea stated that it would be fixed so maybe its in a update..but there has to be a bug or graphical or animation hinderance tied to them that is preventing Ea to fix them..but that also could be the look they are going for.graphics other than that are solid but nobody will know the actual updated graphics until its dropped.. I actually dont mind the shouldar pads, I wish I could say more. Its the tiny heads that bug me. Haven't seen any of those so far. Yeah, certain players seem to have helmets that are only slightly bigger than their head. It's as though they are wearing cheap, plastic replica helmets that include no interior cushioning/protection. That's what's bugging me. 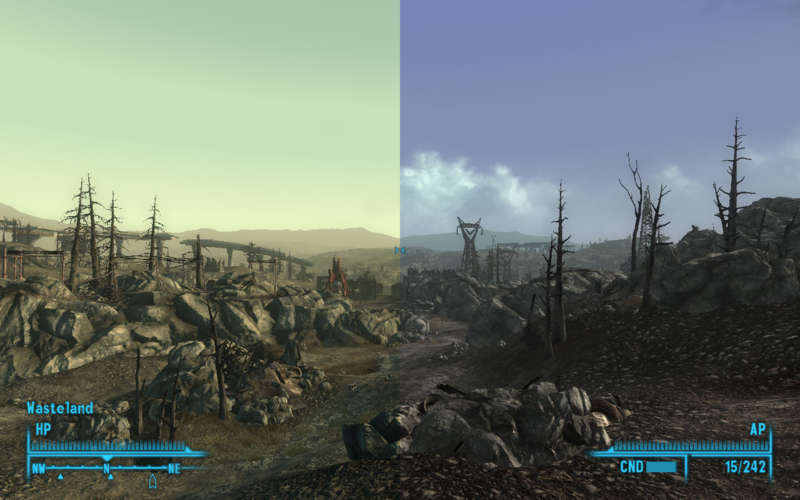 Graphics definitely improved. IMO, if you want to show off the graphics, do a cpu vs cpu game. At least in the broadcast view the running animations look much better. The throw animations are hand animated, not mo-capped. They use video and stills of the real life QBs. That's why some can be spot on and some are just way off, some animators are better than others. Also, and this is a guess, I think the motions use the same number of frames no matter what, so the fast release guys like Rodgers and Brady are slowed to the same rate as everyone else and it makes their release look odd in game. It just seems like they haven't updated them in several years. I was really disappointed in no Garoppolo motion this year, his is so distinctive I really wanted it in game. After 3 years, the presentation in-game is still the same. Really no immersion still. We have been harping on this subject for the last 13 years. Where is the in-game stats comparisons from around the league? Still no player vs player comparisons, team comparisons and individual comparisons in-game. Don't want too bring up a game 13 years old. So lets look at NBA2k series and MLB the show. NBA2K does a great job at immersion u with stats in-game. MLB the show does well, just not on the level as NBA2K does. We need this, especially for CFM. A ticker is nice, but we need more too let us know whats going on around the league and keep us up too date. The in-game presentation has been the same since madden 17. They really need too step up in this department. In-game immersion is lacking in the Madden series!! I'm with Robotech. We need more stat overlays and better presentation in-game. It's lacking even in this video. I'm a believer that presentation can add so much to immersion and feel what was shown for M19 is an improvement. In full disclosure, I'm also not above being biased about anything showcasing the 'Skins, so, yeah. I think presentation encompasses more than just the broadcast, so players interactions pre/post play and sidelines are a big part as well, so players getting to their feet and interacting realistically post play in M19, upgrades the presentation too. Like others have mentioned, would like to see way more of that and the network broadcast type stuff, just completely blow it out. I remember DeuceDouglas doing this great thread years ago, prior to his epic Franchise mode thread, where he laid out all kinds of depth, immersion and variety that could be achieved through graphical overlays and whatnot. I didn't see anyone comment on the things said during the video, maybe people had it muted, it was focused on visuals after all but the Rayweather guy is justifying why presentation elements, that are realistic to football, were added, to some audience. That bothered me, not what he was doing but why he would need or feel the need to do it, due to this divisive, I think EA driven, narrative, that every area of the game has to be developed to cater to as many gamers as possible. I'm not going there on the bigger stuff, speaking specifically on presentation, I don't understand why that would ever be anything but as NFL football authentic as they can get it at its' core. Those modes where gamers aren't interested in that, have it off by default and always an off option for it period but it justifies resources in a NFL football game, because it's a major part of NFL football. The game is already looking great to me and I haven't even seen it in 4k or HDR yet. I appreciate the get up animations after the play. Looks WAY better than before. They touched on alot of small things that make a huge difference to me this year. Agreed, lol. They definitely improved on those. So much cleaner. Regarding visuals, what do the stars under the players mean? That they are highly rated? Yep. Funny and ironically, if I remember correctly those dirty uniforms and field degradation was patched in the game rather quickly because people complained jerseys didnt get dirty enough in 08. Now that I've been participating in online forums and playing Madden almost a decade its funny to see that history just repeat itself over and over. Its like a never-ending loop of EA doing something, removing something, adding something and then removing again only to become a major request again. A lot of stuff hasn't been accommodated from last gen yet. Showing the exterior of the stadium without fans is pointless... no fan interaction in cut scenes. Fireworks and pyrotechnics for week 3 matchups is overkill. I still don't see proper forward momentum during tackles during one on one matchups. The ball still looks like it has breaks on it when it hits the ground on missed passes. Other than celebrations after a touchdown and maybe a few new animations, I'm not very impressed with what I'm seeing enough to run out and buy this right away. Custom draft classes sounds like bs to me. The best custom draft classes ever in a Madden game was called NCAA Football. I don't see the difference between drafting players and then editing them. I guess for the enthusiasts who want exact draft classes until next years madden comes out. Oh well... I guess another year of NCAA Football 14/Madden 25 for me. Yeah, QB animations look awful, especially the squat, really EA, when does a QB squat when they are in the middle of their throwing motion yes they use their legs, but before they start their throwing motion. The body is far too over exaggerated in their throwing motions and arm needs more of a whip action and increase speed. This is especially true for Aaron Rodgers. maybe with pc we can edit it out? The stars under players are for team captains, I believe. Should be possible with reshades.